Different from our other site locations is the site of Washington, DC. The Leadership Academy reunion program for alumni of EFL and EHFL is not held on a particular college campus, but rather hosted in the heart of the District of Columbia. Participating in the FTE Leadership Academy allots students the ability to deepen their understanding of economic leadership within the Nation’s capital. 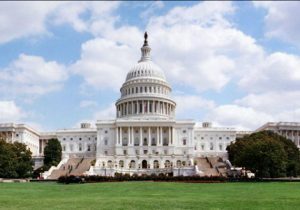 Washington, DC is known as the political Capital of the World and is therefore an extremely important location for developing leadership abilities and understanding difficult economic decision making. Located within the city are the three branches of the United States federal government, the U.S. Congress, the White House and the U.S. Supreme Court. Washington, DC is home to the iconic National Mall, a stretch of land approximately one-mile long, reaching from the Lincoln Memorial to the United States Capitol Building. With its long list of attractions from the many Smithsonian institutions to the numerous monuments, it’s no surprise that Washington, DC is ranked as one of the most visited cities in the world – with nearly 24 million visitors each year! Students in the Leadership Academy program will have the opportunity to see many of the sites that Washington has to offer, including Arlington National Cemetery, the Holocaust Museum and famous monuments.